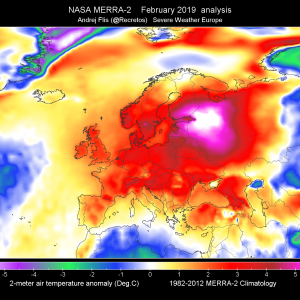 A broad area of low geopotential with multiple embeded minima persists over much of CNTRL Europe and N Mediterranean. Large areas of Europe will see diurnally driven storms. 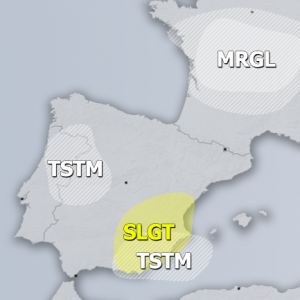 A MDT risk has been issued for the Pyrenees for heavy rainfall. 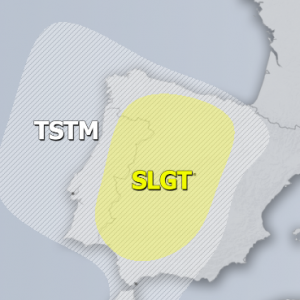 A SLGT risk has been issued for NE Spain and SW France for heavy rainfall, large hail and severe wind gusts. 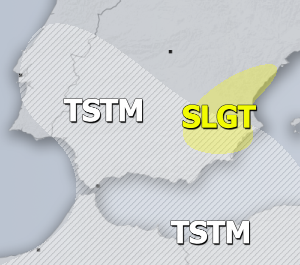 A SLGT risk has been issued NE Turkey, Georgia and extreme SW Russia for heavy rainfall, large hail and severe wind gusts.